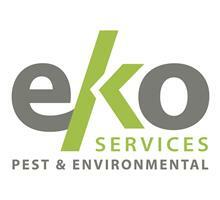 EKO Services - Pest/Vermin Control based in Ashby-de-la-Zouch, Leicestershire. As professionally trained and registered pest controllers we offer a safe, discreet service, protecting you, your family and pets, your property and your environment. We understand that pests can be a potential health risk to you and your family and will respond, identify and recommend a prompt treatment. Eko Services are accredited members of the BPCA (British Pest Control Association). Our technicians are trained to BPCA/RSPH level or higher. Technicians are also members of the BASIS PROMPT professional training registration. CPD points are awarded ensuring continual professional training and development. Photo ID's are also worn by our technicians. We'll always explain the prices in advance avoiding any unpleasant surprises. We believe our pricing is one of the most competitive around and you'll always receive a professional level of service. Please call Derby 01332 865270 or Ashby De La Zouch 01530 564136 or visit our website www.ekoservices.co.uk for further information.